A living legend of Heroism. Gwalior. With its majestic past. the ancient capital of Gwalior has yet made a successful transition into a modern Indian city, vibrant and bustling. A multitude of reigning dynasties of the great Rajput clans of the Pratiharas, Kacchwahas and Tomars have left indelible etchings of their rule in this city of places, temples and monuments. Gwalior’s tradition as a royal capital continued until the formation of present day India, with the Scindias having their dynastic seat here. The magnificent mementos of a glorious past have been preserved with care, giving Gwalior an appeal unique and timeless. Skyline of cities has been transformed by Ansal, making them world-class in every way. Breathtaking architectural wonders and quality construction have made Ansal synonymous with state-of-the-art civilconstruction and leading real estate developer to reckon with, in Indian and the world. Imagine one acre of complete bliss. Life at Ansal Gwalior farmhouses is inspired by the Designer Villas of a by-gone era and contemporary farmhouses. Here you have ample luxurious space to enjoy the flow of life. 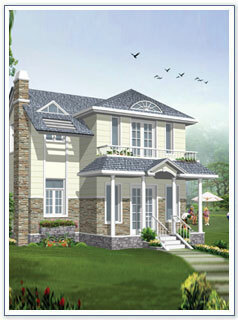 Each farmhouse is of one acre and more, to give you splendid living space. Appropriate environment and adequate facilities provided will set an opulent lifestyle for you to enjoy for a lifetime. Ansal farmhouses have a state of art layout that is planned according to your comfort. They have an infrastructure that compares with the best in the world. You will have ample space to design your luxuries because living in a farmhouse built in one acre of land is not a common lifestyle. Life is precious and we completely understand your concern. Ansals provide utmost safety measures which add satisfaction to your grandiose Living. The sprawling greens ensure security all around and the technological systems detect danger with accuracy. So you can live each day in freedom and sleep safe and sound.